By Jennifer Burcke on July 30, 2012 Visit Jennifer's Website. by Jennifer BurckeEarlier this summer, I shared with you Five Features To Incorporate Into Your Coop. 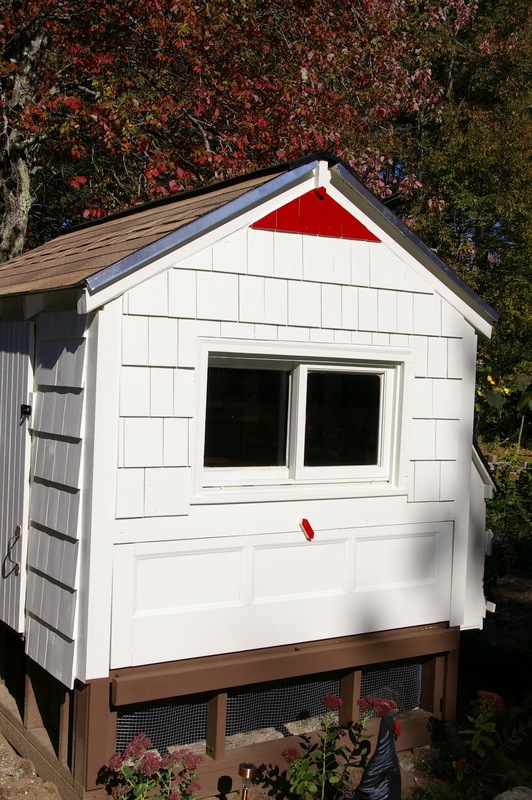 It was easy for me to decide which features I would be sure to include in the design of a new chicken coop if I ever found myself constructing one. While I don’t have any plans to build a new chicken coop, the memory of our coop building project two years ago is fresh in my mind. It seems only fair that I would also share an integral component of our original design that was an epic failure. 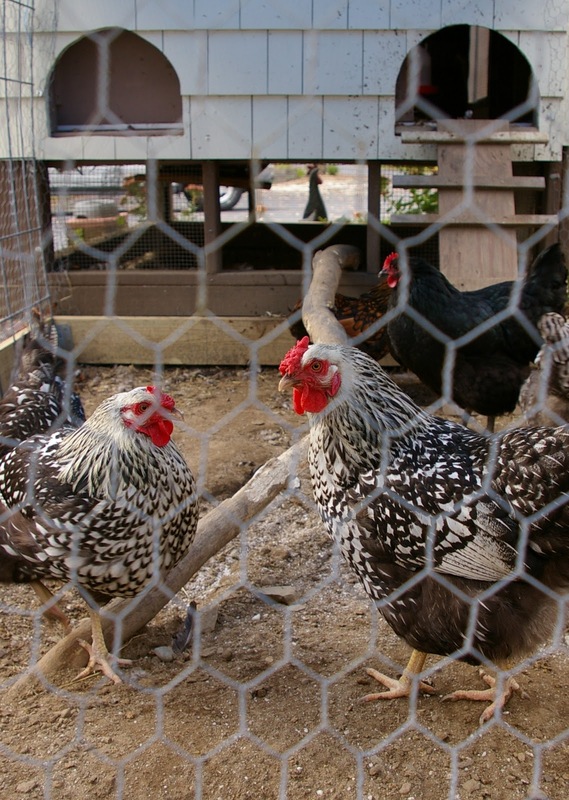 When we were designing our coop, we had several features that we worked hard to incorporate. We wanted to use many of the leftover building materials that we had on hand. We also decided to build a ramp for our hens that would lead to a fully enclosed open air run underneath the coop. We had seen several examples of this type of construction. As we were planning our coop, we pored over photos and diagrams of coops in books, magazines, and online forums like Community Chickens. We decided that using a stacked design for the chicken run and coop would allow us to maximize the living and playing space for our hens while minimizing the footprint of the space taken away from our vegetable garden. 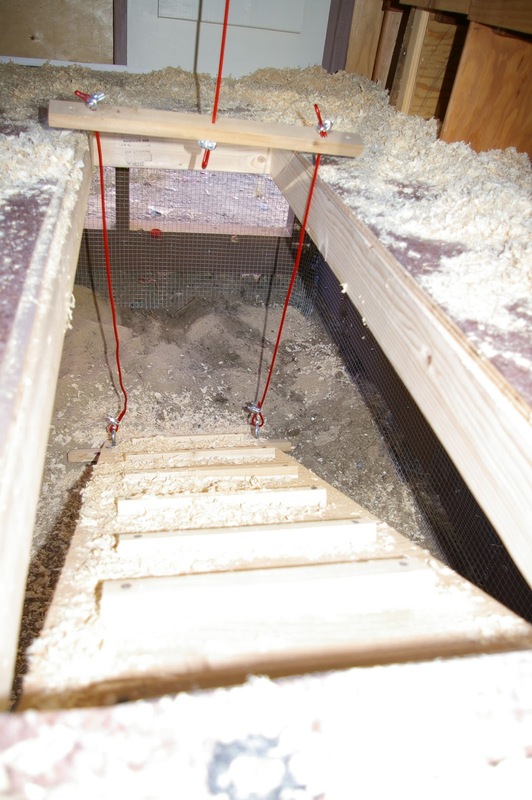 We went to great lengths to incorporate the first floor run into our coop design. We designed a ramp that led from the main floor of the chicken coop to the run below. This element included a pulley system that allowed the ramp to be raised or lowered while standing outside of the coop. I decided to fully enclose the run to protect our flock from predators. While we live in a suburban area, we have plenty of wildlife living near our farm. In fact, my husband and I came too close for comfort with a fisher cat while out in the garden a few summers ago. I didn’t have any intention of inviting it back to have a feast of heritage hens in our farmyard. In order to make our run as predator proof as possible, I spent many hours crouched beneath the coop. I used galvanized wire to join the strips of hardware cloth that we used to build the run. I overlapped the pieces of hardware cloth and then used the wire, weaving it in each tiny square to ensure that it was secure. In the process, I made countless wounds on my hands and ended each work day with more bandages on my fingers than I had started the morning with. I forged ahead, confident that my hard work and literal blood, sweat, and tears would pay off. When our chickens happily spent time in their wonderful, safe run I would enjoy the satisfaction of a difficult job well done. Even after a trip to the emergency room for a gash too big for a bandage, I remained confident that my hard work would be rewarded. Once the pen was finished, we filled it with six bags of playground sand. 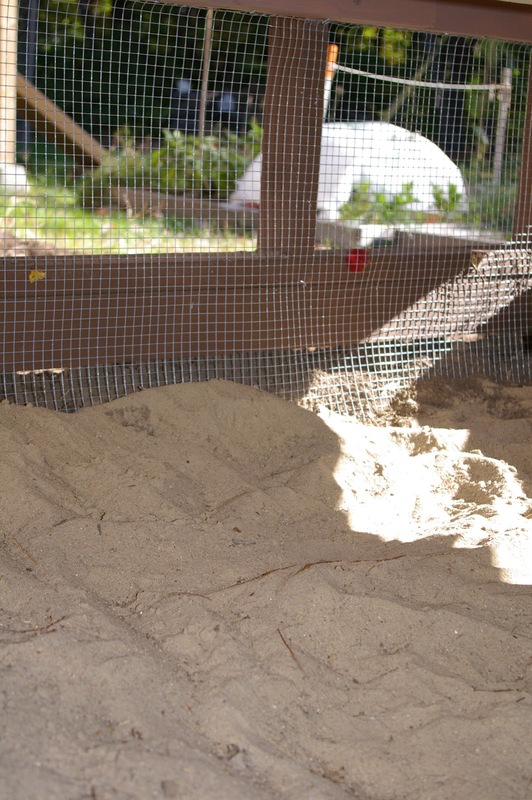 The sand would provide our hens with an opportunity to scratch and bathe to their heart’s content. They would also have access to all the grit they could possibly want. I couldn’t wait to see our hens playing in the sand. Our chicks arrived late that September and finally graduated to coop living in November. Soon after, a brutally cold New England winter settled in for a long visit. We made the decision to keep the chicks in the coop during their first winter months living at 1840 Farm. We worried that they wouldn’t be able to keep warm if the ramp was open and allowing frigid air to enter the coop all day long. As soon as longer days and warmer spring-like temperatures arrived, we decided to open the run and allow the now juvenile pullets access to their safe and secure run. It was an exciting moment when I stood outside the coop and carefully lowered the ramp from the coop to the run. It was memorable for a very important reason: the chickens refused to go down the ramp into the run. At first, I made rational excuses for this behavior. I reasoned that they were unsure of walking down a ramp into an unknown world below the coop. I thought that allowing them time to familiarize themselves with their new found freedom would help. I hoped that their natural curiosity would compel them to travel down the ramp to investigate the space below. Over a period of days, I waited and watched as they refused to use the ramp. I got desperate and decided to take matters into my own hands. I have found that our flock is akin to a toddler play group in that I can get them to do almost anything for a handful of dry cereal. This seemed like the perfect opportunity to put this theory to the test. I carefully showered a handful of dry cereal over the descending ramp. Some pieces landed on the sand’s surface below. Others perched along the length of the ramp. I was sure that this was just the incentive our hens needed to be encouraged to make their way down the ramp. I stood back and waited for them to begin their trek down the ramp. It took a few moments of peering over the edge for our Black Australorp to decide that the promise of a food reward was worth the risk. Hedwig cautiously made her way to the top of the ramp and then slowly walked to the run below, stopping at each piece of cereal to enjoy her reward. She reached the ground, ate the morsels of cereal awaiting her arrival, and then proceeded to sprint back up the ramp into the coop. I continued to try and entice our hens to use the ramp and visit the run beneath their coop. No matter what we tried, they were unwilling to spend any time there. They weren’t intimidated by the new sights and sounds they experienced when they spent a moment in the pen gobbling treats before returning to their coop. Instead, they were simply uninterested in expending the effort necessary to visit the outdoors. They just didn’t seem to understand why they would want to make the journey down the ramp when they were comfortable and content on the main floor of the coop. Eventually, I gave up on my dream of seeing our hens happily enjoying their safe and secure run underneath our coop. Then I did the next logical thing: I decided that they needed a new outdoor space to spend their days in. Now I just had to figure out what type of pen they would deem worthy of their attention. While we planned the permanent structure, there was a temporary pen fashioned from a dog run covered in chicken wire. It worked admirably while we determined what type of run we wanted to build ourselves. It allowed our hens to enjoy being outside all summer, eating fresh clippings from the garden and Japanese water beetles from the raspberry patch. 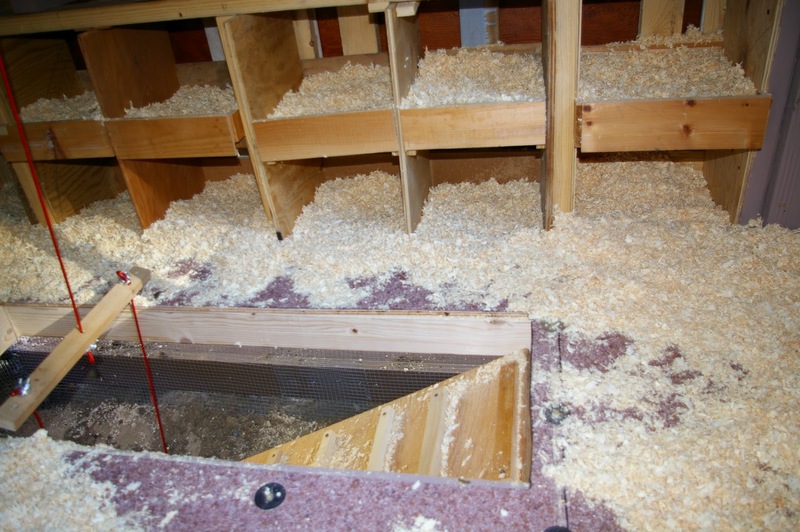 While using the temporary run, we repurposed the ramp from inside the coop. The hens never had a problem using the ramp to go outside. From the first moment the access door opened, they were ready and willing to walk down the ramp and enter the sunny world awaiting them. Clearly the ramp hadn’t been the issue. Last fall, we designed and constructed a permanent arched outdoor pen that has made both the chickens and chicken keepers happy. Ironically, we designed it with the original run in mind. I was determined that our chickens would use that space at least occasionally. I hoped that if they had access to the original run that they might decide to make use of the space that we had so carefully planned for them. It was odd to be using wire cutters to cut a hole in the hardware cloth of the pen that I had worked so hard to fully enclose. I cut it away and secured the ends from inside the run. This time, I am glad to say that I did not end up needing bandages or a trip to the emergency room. When I had finished, there was a wide open doorway into the pen underneath the coop. I slid a natural tree branch into the opening to join the new pen with the old. The branch had been felled by Hurricane Irene, leaving us without power for five full days. Using that branch to entice our hens to the original pen seemed like announcing to world that I wasn’t going down without a fight. I wasn’t willing to give up on our hens using the pen under their coop any more than I was willing to give in to a hurricane. Somehow, it just felt right. Now all I could do was stand back and watch our hens to see how they would react. I didn’t have to wait long. One by one, the hens hopped up onto the branch and marched directly into the old run. They immediately began to scratch at the sandy surface and take dust baths in the loose sand. If I hadn’t witnessed it firsthand, I would have found it hard to believe that they had been so willing to visit the space that they had never shown any interest in before. Ironically, the sandy pen is now our flock’s favorite place to spend the day. They spend so much time in there that we have nicknamed it “The Playground” due to its sandbox like construction and their unwillingness to leave even when it’s time to come in for the night. Sometimes they refuse to exit the playground even when cereal is offered as a reward for returning to the coop. For our hens, that is the most sincere form of flattery. I still don’t fully understand why they have had such a change of heart. It is clear that they were not afraid of the ramp or being outside of their coop. I guess that they are just more like me than I would care to admit: they like what they like whether it makes logical sense or not. Clearly, what they like is having a sandbox that they can play in whenever they want and a run that isn’t underneath their coop. Do you have a story to share about your flock and their unwillingness to use something that you carefully built for them? I would love to hear all about it in the comments section or on the Community Chickens page on Facebook. Chickens can be so fickle about things. Mine do that with food. If I give them a new treat they act like I am poisoning them. Then once one of them tries it, they dig right in and devour what ever it was. If someone doesn’t take that first step it may sit there all day long. I love them inspite (or maybe because) of it. We built a tree for our girls. Yep, a tree. It’s just a 4×4 post with 2″ dowels sticking out at various points, but they enjoy roosting in it from time to time. I hang treats from the pen roof sometimes, and they hop from perch to perch until they get to the top and peck at the treats from the topmost ‘branch’. 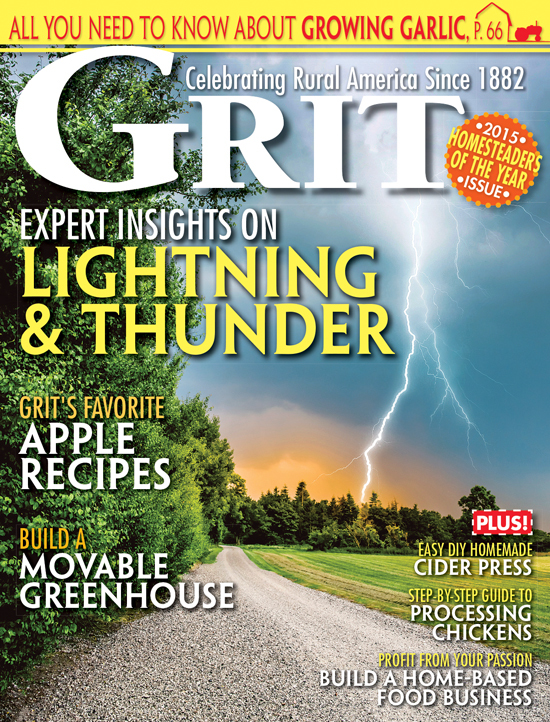 As simple as it sounds, even this construction project wasn’t without it’s pitfalls. We put together our first ‘chicken tree’ when our girls were pretty young, about 4 months old. We used some doweling we had on hand, which was only 1″ stock. Most of them have broken off the original tree, and have since been replaced with the heftier dowel stock. 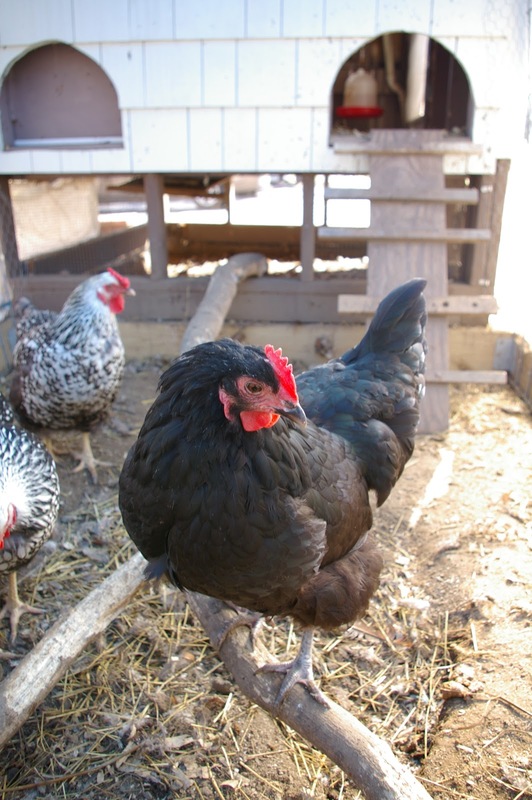 I should think the 1″ stock would be fine if you have bantams, but our flock are all full-sized, and includes some heavier breeds (Brahmas & Cochins). It’s nice to know that I’m in such good company! I’m glad that your ducks are happy with their pool cabana. Our hens are certainly happier with a playground than they were with a first floor chicken run! 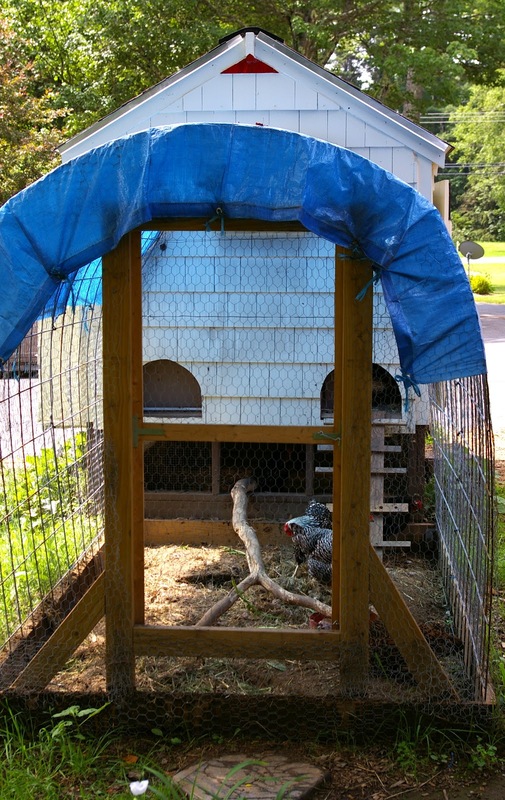 Um….kind of embarrassed to even admit but I built my chickens a gazebo to take their dust baths in. Yes, a gazebo, with a shingled roof and all. I found a nice spot for it in the run, filled it with fine sand, food-grade Diatomaceous Earth, fireplace ash…..they refuse to use it. It sat empty day after day. I moved it to another spot, in the sun, in the shade, nothing. The ducks finally took it over and use it as their pool cabana now. Lessons learned…. Great! I think whoever has invent this concept hats off to them, i just feel good that someone thought of this chickens happiness and created space for playing them.